Posted 11:51 am by Julia Jacobson & filed under Uncategorised. In celebration of the contribution of women during the conflicts of WWI and WWII, the museum is holding a high tea on Saturday, May 11, 2019. Come and enjoy a high tea luncheon of fine sandwiches, delicious baked desserts and scrumptious scones while discovering the interesting and untold or forgotten stories of the roles of women during the world conflicts. The museum will be open at 11 AM where you can take a tour while enjoying a mimosa and varieties of cheeses. Luncheon will be served promptly at 12 noon. Speakers and displays will share and depict the role of the women who took on so much at the home front. Tickets $80.00 per person and are available at the Constituency Office of Phil McColeman, MP Brantford-Brant, 108 St. George Street, Brantford. ON. Reserved Seating – Parking Available – The museum is accessible. Posted 12:46 pm by Julia Jacobson & filed under Uncategorised. Television host and author Norm Christie is returning to the museum on MONDAY, APRIL 8th, 2019 from 7 PM to 9 PM speaking on “Sacred Places – The Cemeteries of the Great War; Their Construction and Interpretation”. Norm was the Chief Records Officer of the Commonwealth War Graves Commission in the United Kingdom and the Commission’s Administrative Officer in Arras, France for five years. He has been taking tour groups to old battlefields for more than 20 years and is recognized as Canada’s number one expert on the two World War battlefields and cemeteries. As well, he is the author of more than 20 books about Canadians in the two World Wars including the 10 volume “For King and Empire” on which the television series was based. The museum will be open at 5 PM for free tours prior to the speaking engagement. Come early as seating is limited. Admission is by donation at the door. Parking is available and the museum is fully accessible. Posted 1:49 pm by Julia Jacobson & filed under Uncategorised. 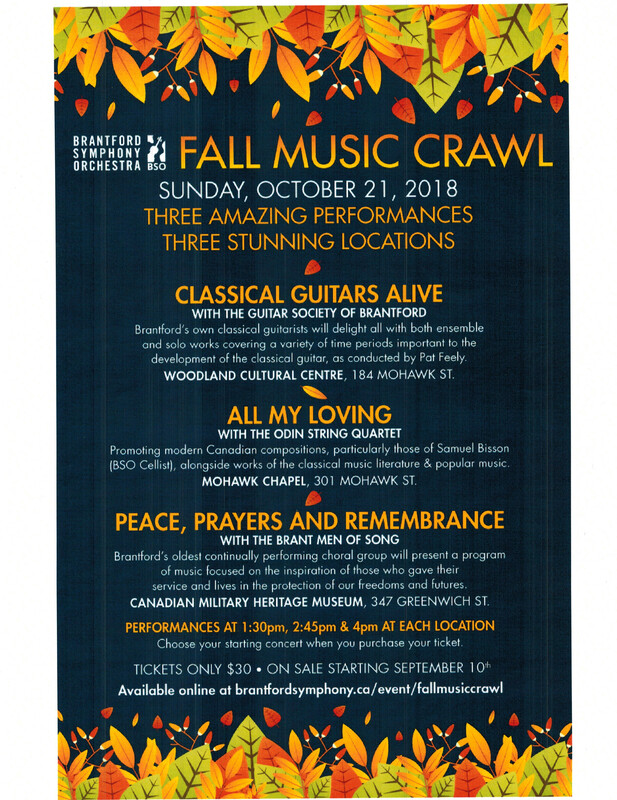 The Canadian Military Heritage Museum is once again pleased to be part of the Brantford Symphony Orchestra “Fall Music Crawl” by offering the museum as one of the three venues for this exciting crawl. The museum will be hosting The Brant Men of Song who will present a program of music focused on the inspiration of those who gave their service and lives in the protection of our freedoms and futures. Other venues will include the Woodland Cultural Centre, 184 Mohawk Street and Mohawk Chapel, 301 Mohawk Street. Performance times will be 1:30 PM, 2:45 pm and 4 pm at each venue. Tickets are $30.00 and available on line at: brantfordsymphony.ca/event/fallmusiccrawl. For further details contact the BSO. The museum has plenty of parking and is fully accessible. Posted 1:31 pm by Julia Jacobson & filed under Uncategorised. The CMHM is pleased to present an evening with Andrew Robertshaw acclaimed military historian and author of numerous historical war books. A former teacher, he is now the curator of the Royal Logistics Corps Museum in Deepcut, Surrey, England. Since 2000, he has been featured in a number of radio and television broadcasts and was a military advisor on the 2011 Steven Spielberg film “War Horse”. 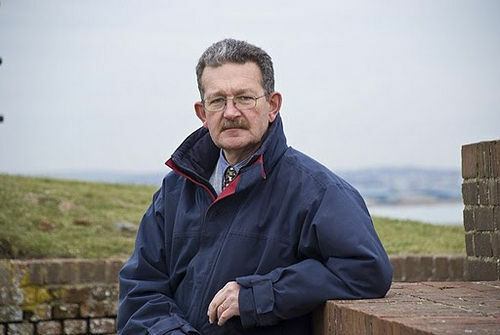 He has written several books including “Ghosts of the Somme, “24hr Trench” and “The Somme: 1 July 1916“. He has spearheaded numerous archaeological investigations along the Western Front and brings a great deal of understanding and knowledge to his speaking engagements. Come and listen to him speak at the museum on the last 100 days of WWI. It is for one night only so do not miss this exciting opportunity. A book signing will take place following the lecture. Posted 6:48 am by Julia Jacobson & filed under Uncategorised. 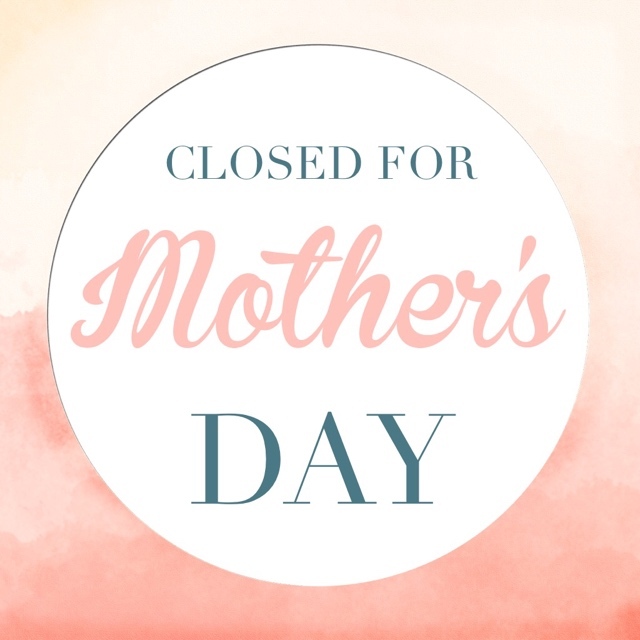 So that we may recognize and celebrate Mother’s Day, the museum will be closed on Sunday, May 13, 2018. To all the moms we salute you. Posted 8:48 am by Julia Jacobson & filed under Uncategorised. As part of the month of May Brant Museum Crawl, the Canadian Military Heritage Museum will be hosting an Open House on THURSDAY, MAY 17th, 2018 from 10 AM to 4 PM. Admission is FREE and food and drinks will be available for purchase. Come see the newly renovated interior, display redesigns and new exhibits. The CMHM….come and discover….come and learn….come and leave inspired. Enjoy the museum and be part of the month-long Brant Museum Crawl. 2018 SEASON – OPEN FRIDAY, APRIL 6th. Posted 8:17 am by Julia Jacobson & filed under Uncategorised. After months of hard work and determination to complete an ambitious renovation project, the museum will be open for its 2018 season on FRIDAY, APRIL 6th. Although there is still some work that needs to be completed, the museum is ready enough for your visit. Our spring hours are Friday, Saturday and Sunday from 10 AM to 4 PM. Our regular season will commence on May 1st when our hours change to Tuesday to Sunday (closed on Mondays) form 10 AM to 4 PM. The museum invites you to come and see our new exhibits, the redesign and inviting interior. Posted 3:08 pm by Julia Jacobson & filed under Uncategorised. The Canadian Military Heritage Museum is now closed for the 2017 season. 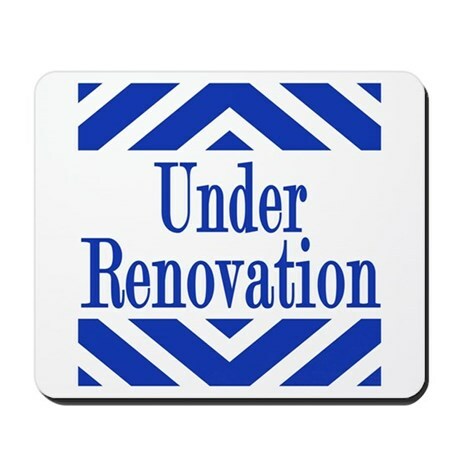 Over the next few months, the museum will be undergoing an extensive interior makeover in the celebration of our 25th Anniversary in 2018. Please check out our Facebook page to see the progress that is being made. Come see us in the spring of 2018.